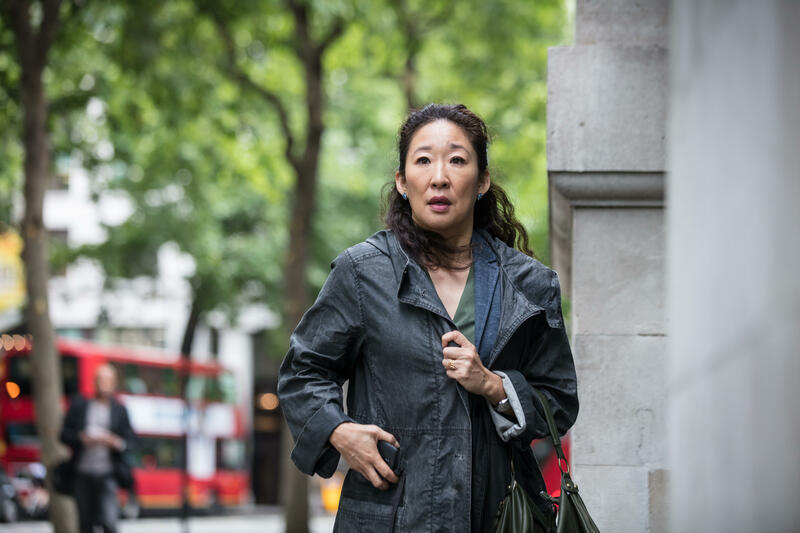 It's not often that an Asian woman has the leading role in a TV show in the U.S., and it's even more rare for one to snag an Emmy nomination, but Sandra Oh has done just that. The star of breakout hit "Killing Eve" became the first Asian actress to be nominated for a leading role Emmy in either comedy or drama. The Korean-Canadian star has been in the spotlight since her role as Dr. Cristina Yang in "Grey's Anatomy, and was nominated for an Emmy for best supporting actress in that role five times. "Killing Eve" is Oh's big comeback after leaving "Grey's Anatomy" in 2014. She plays MI-5 operative Eve Polastri who mostly works a desk job until she is assigned to pin down psychopathic assassin Villanelle, played by Jodie Comer, who works for an organization called The Twelve. Eve quickly becomes obsessed with finding the killer. Oh has said that she fully understands the responsibility of representing Asian actresses in Hollywood. "I feel acutely aware of how important it is and I absolutely want to be a part of it in the best way possible," she told ET in April. "The best way possible that I know how is to find the most interesting material and to do my best work for it. It's too important to not care about it or to not try and be out of the box in some sort of way." In the earlier interview, Oh also said that she hopes her role on "Killing Eve" opens doors for other Asian artists, especially storytellers and people behind the scenes. "Definitely understanding deeply that it's not enough and to encourage our own community to find its own voice in its own way, that's one thing that I feel we have not found our own footing yet because it has to be from us, uniquely in us, and there's a lot to explore in that because Asians are very, very diverse," said the actress. Michael Che and Colin Jost of "Saturday Night Live" will host the Emmys on September 17, 2018. They will be broadcast on TV by NBC.